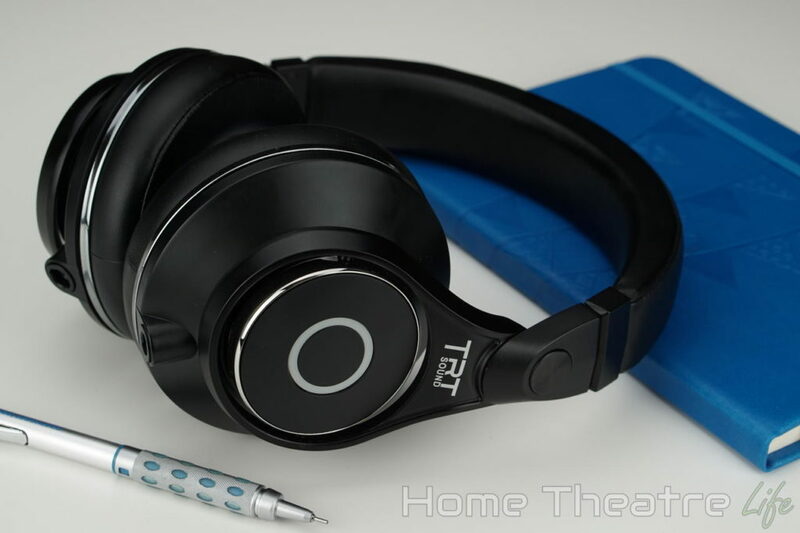 Home Headphones Bluetooth Headphones Bluedio UFO Plus Bluetooth 4.0 Headphones Review: Beam Me Up! 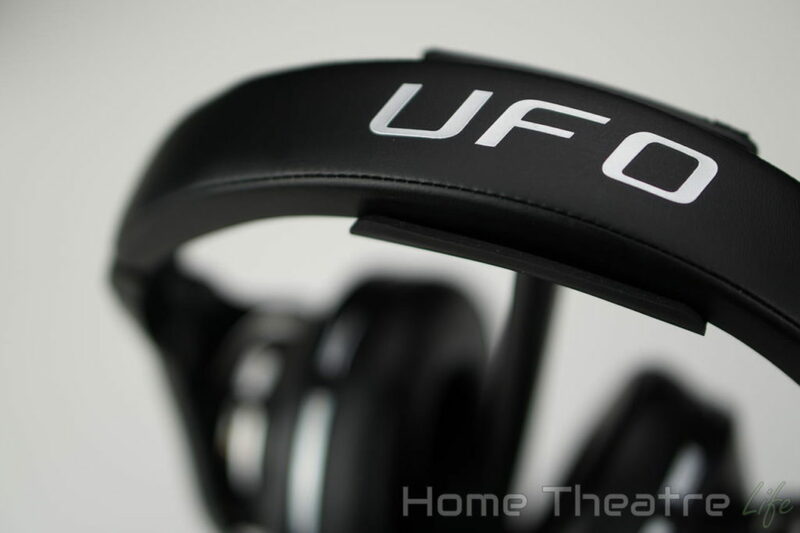 Bluedio UFO Plus Bluetooth 4.0 Headphones Review: Beam Me Up! The Bluedio UFO Plus is a premium set of Bluetooth 4.0 headphones and the top of Bluedio’s range. Featuring a massive 12 drivers (6 per ear! ), Ti-Al alloy construction, rotating ear cups and support for both Bluetooth and wired connections, is it a winner? Keep reading to find out! I want to say thanks to Bluedio for sending me a sample to review. You can buy one from them here. I like the carry case sit does a good job of protecting the headset and keeping everything together. The coiled cable is a nice inclusion. 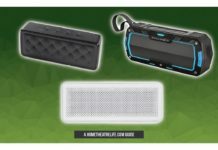 It offers plenty of length and has a twist lock mechanism to keep it connected to your headphones. The 6.5mm adapter even screws on for a secure fit. It’s the little details like this that I love about Bluedio’s products. The Bluedio UFO Plus are a massive set of headphones. Thanks to their Al-Ti alloy construction, they feel incredibly durable. They’re also not too heavy (at least for me). The large ear cups easily cover your ears to block out ambient noise. They fold up for easy portability but use a pivoting mechanism compared to the folding mechanism used on headphones like the Bluedio UFO or Turbine T3s. 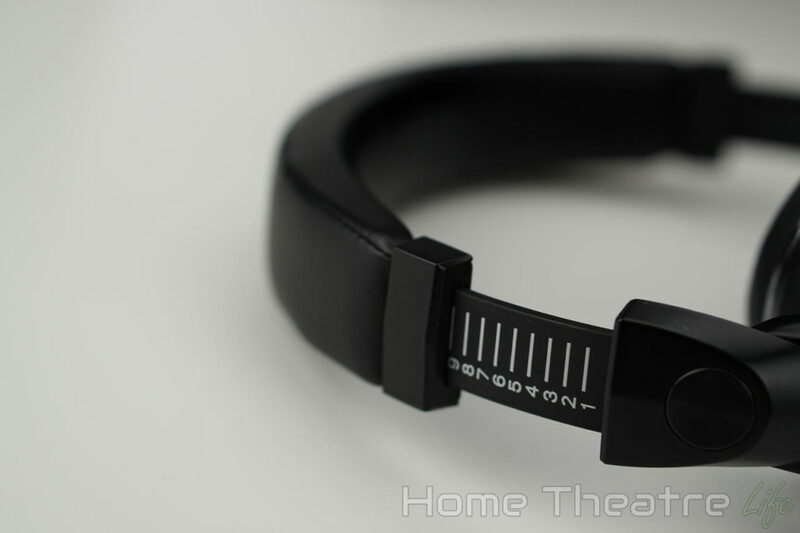 It works well but causes the headband to flatten when you’re wearing them which looks odd. They’re also impressively adjustable, with ear cup rotating independently plus an adjustable headband to get them exactly where you need them. As with Bluedio’s other Bluetooth headphones, controls are located in the right ear cup. Here you’ll find volume and music playback controls, in addition to Bluedio’s Multi function button which is used for everything else like turning the headphones on to answering calls. There’s no physical difference in the buttons so you’ll need to feel around to get the right button without looking. You’ll get used to it pretty quickly though. 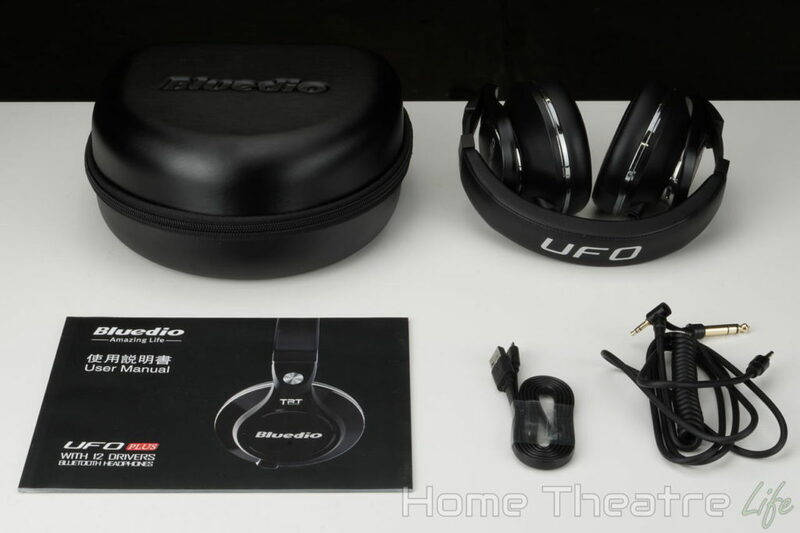 As is usually the case with Bluedio headphones, the Bluedio UFO Plus are incredibly comfortable. 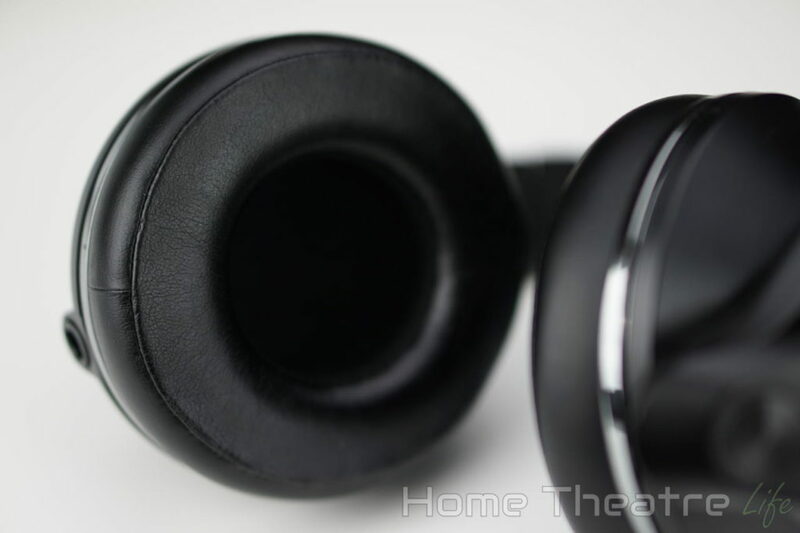 The thick leather-like pads are soft and were still comfortable after several hours of listening. However, I did find my ears getting warm after long listening sessions. Clamping force was good – strong enough to keep the headphones in place without being painful. 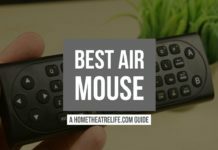 They also provide excellent noise isolation, blocking out an impressive amount of ambient noise. Pairing the headphones is identical to any other Bluetooth device. Just hold down the multi-function button to put them into pairing mode and then pick them from your smartphone’s Bluetooth menu. 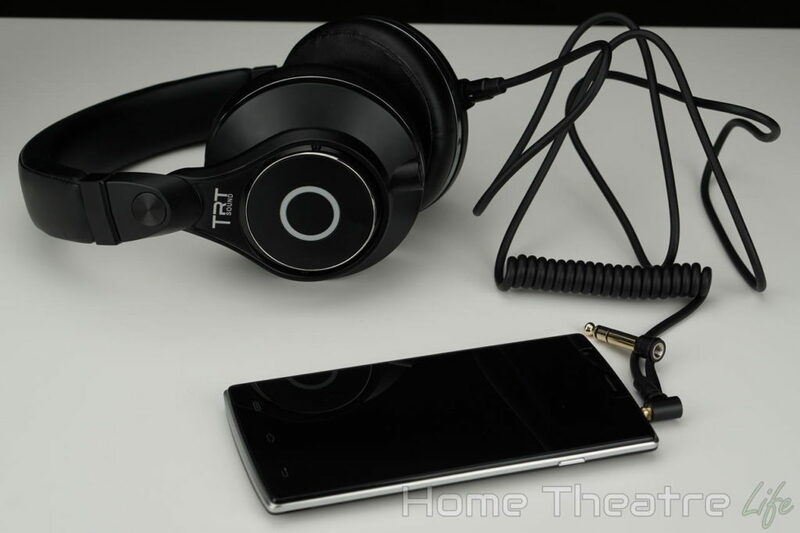 You can even pair the Bluedio UFO Plus to two separate phones, with the headphones intelligently switching between them. If you drain the internal battery, you can even use them wired which is a massive plus. I loved the fact that the included 3.5mm cord features a twist-lock to keep them attached to the headphones at all times. 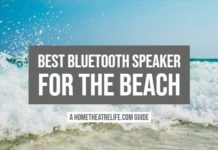 The Bluetooth connection is generally excellent, with fantastic range. 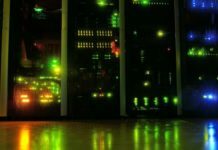 I did experience the occasional bit of interference but these instances were rare. Battery life is solid as usual, getting around a week of typical use. 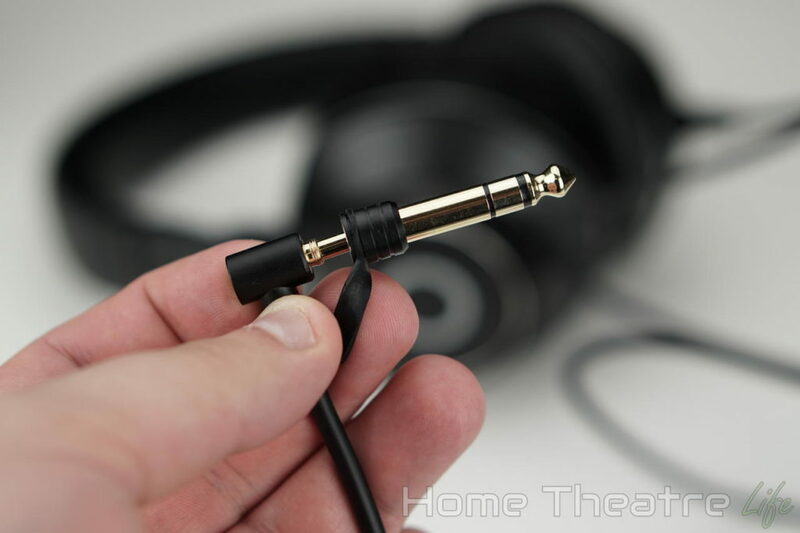 You can also use the headphones wired if you’ve drained the battery which is handy. So the most important question is “how do these cans sound?”. Well, the Bluedio UFO Plus are capable of producing some beautiful audio. However, their sound signature definitely favours bass, with it tending to dominate higher frequencies on demanding tracks. I wouldn’t use them to mix an album but they’re great for general listening – particularly given that most people prefer enhanced bass response. 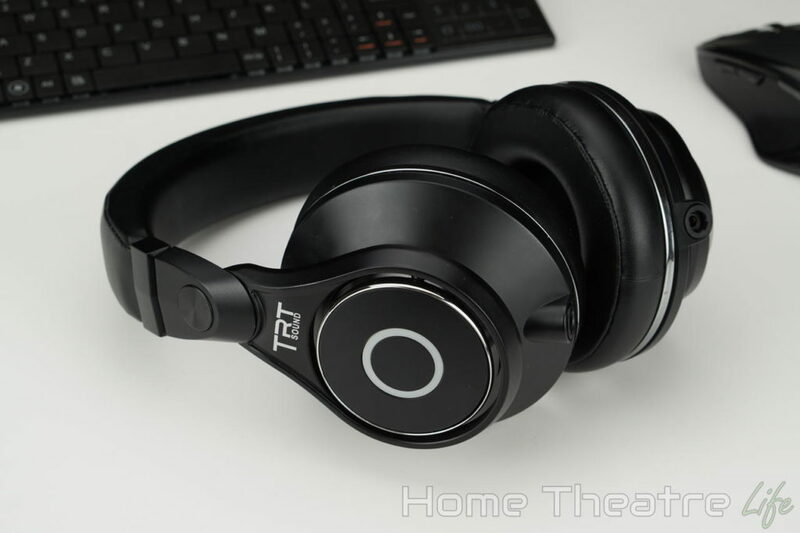 These headphones really come alive when you feed them bass-heavy music, with booming bass that sounds so clean. Tracks like Skrillex’s Bangarang sounds incredible. Acoustic tracks have excellent depth, with the headphones’ 12 drivers handling mids and highs well. More demanding genres like death metal still sound good. However, the bass does tend to muddy some of the detail in the vocals. Movies and games sound amazing thanks to the enhanced bass response. Gunshots and explosions are delivered with force, leading to a much more immersive experience. 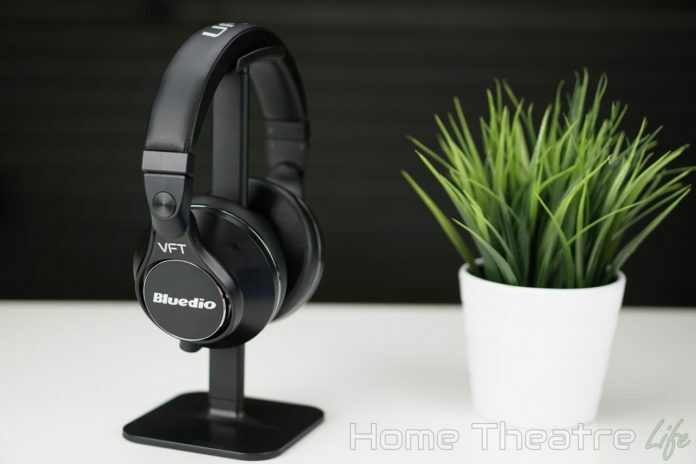 Interestingly, the Bluedio UFO Plus is the first Bluedio headphones I’ve reviewed that show a distinct difference between Bluetooth and wired connections. When wired, bass is even more prominant. However, adding in an amplifier like the Fiio E6 seemed to improved the audio quality. There’s also Bluedio’s 3D effect which is available when connected via Bluetooth. 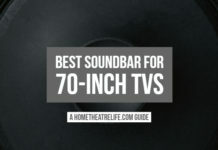 The company says this should enhance your audio with improved sound stage. In practice, it’s a waste of time. With music, it just makes everything sounds muddy. The situation does improve with movies but not dramatically so. 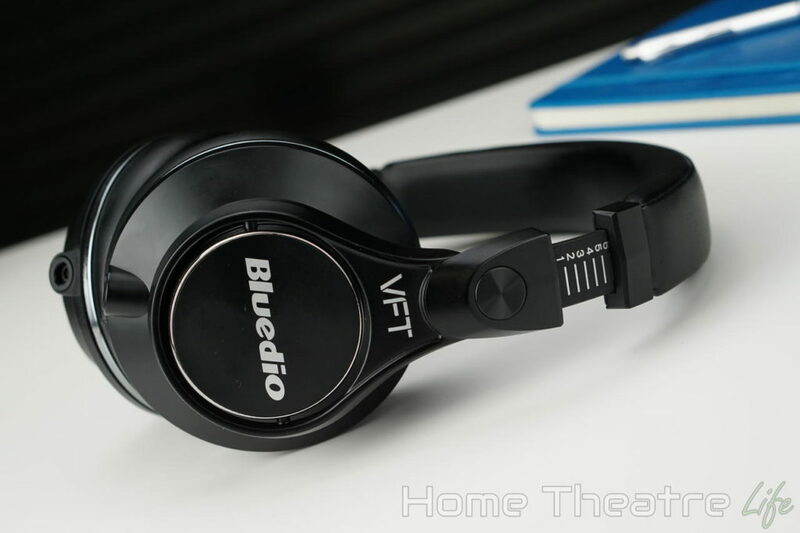 The Bluedio UFO Plus is another solid set of headphones from the company. Bluedio have produced a exceptionally well-build set of cans with an impressive array of features. However, its $250 price tag will be a hard pill to swallow for most, particularly given the variety of quality headphones available at the price point. Where Can You Buy The Bluedio UFO Plus? The Bluedio UFO Plus is a solid set of Bluetooth headphones. However, the bass-heavy sound signature and high price tag may put some people off.